We had a little “Great to be 8” for the kids at church. I was feeling totally uninspired, and rushed but couldn’t flake on my promise to bring sugar cookies. 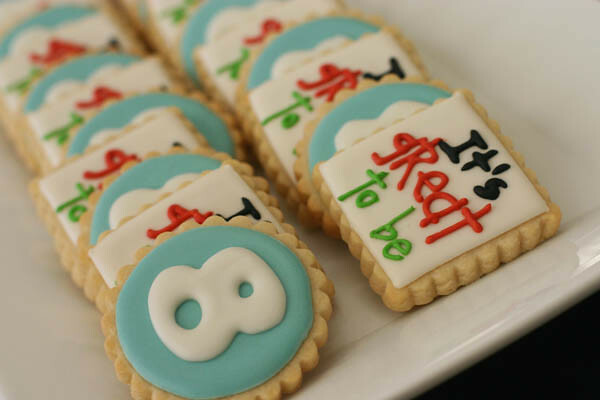 So when I couldn’t think of a fabulous cookie design, I resorted to putting this invitation that I made, right into my kopykake projector. Easy and done. it is the perfect plan! Is there nothing you can't render in a cookie??? When in doubt, pull the invitation out! Love the cookies and I'm sure the birthday boy did too. Very cute. Laziness? They're gorgeous. Love the invitation and the cookie colors! Do you sell/ship these by any chance? So I just discovered your blog and I have to say you are amazingly talented. 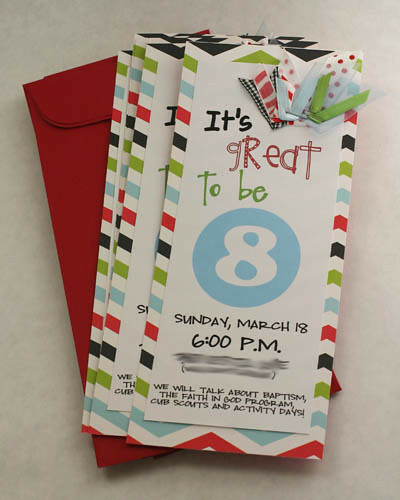 I love the invites you made for your great to be 8 program. Is there any way you would be willing to share the file for that so I could use it for our program this year? I would super, super appreciate it. I would love the file for your invites as well! They are SO VERY CUTE!!! I am putting together our event which is in two weeks as well and need to get invites made ASAP. I have not found anything cuter! If you can, please send to jennifer.youngberg@gmail.com. Can I get a download of your invites?? I Love them! haileyledford@gmail.com Thanks! me too! lol. Are you sharing your awesome invite download? So dang cute. Super cute!! Are you sharing the download for the invite?? I would love to use it please! 🙂 Thanks so much for sharing your talents! I would love a copy if you are sharing your invite. thanks!